The BritRail England Passes offer a cost effective way to tour the English countryside by rail. These BritRail England Passes are designed for overseas visitors to England. BritRail England Passes allow unlimited travel in England on any scheduled train. Heathrow Express, Gatwick Express and Stansted Express, trains from Luton Airport to London, from Birmingham and Manchester airports are also included. BritRail England Passes allow unlimited travel in England on any scheduled train. Heathrow Express, Gatwick Express and Stansted Express, trains from Luton Airport to London, from Birmingham and Manchester airports are also included. The boundary stations for this pass are: Carlisle, Berwick upon Tweed, Lydney, Gloucester, Cheltenham, Hereford, Bucknell, Shrewsbury, Chirk, Crewe, Chester, West Kirby. Unlimited travel throughout England (up to the borders of Wales and Scotland) on the national rail network of Britain from morning until night. Get access to the Heathrow, Gatwick and Stansted Express trains – the quickest way from London’s airports to central London. These Passes are not available to buy in the UK or available to residents of the UK- they are designed specifically for International guests to the UK. BritRail England FlexiPass permits the holder to choose the travel days within the period of validity. Passes are available for 3, 4, 8 or 15 days travel in 1 month. BritRail England Consecutive Pass is valid for travel on a set number of consecutive days. Passes are available for 3, 4, 8, 15, 22 days or 1 month. 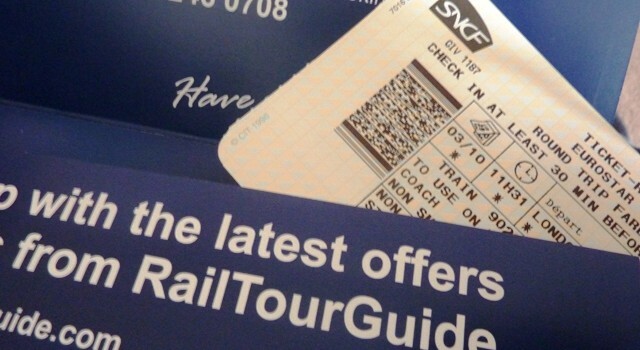 To enquire about these passes please email sales@railtourguide.com or call us on 0191 246 0708.